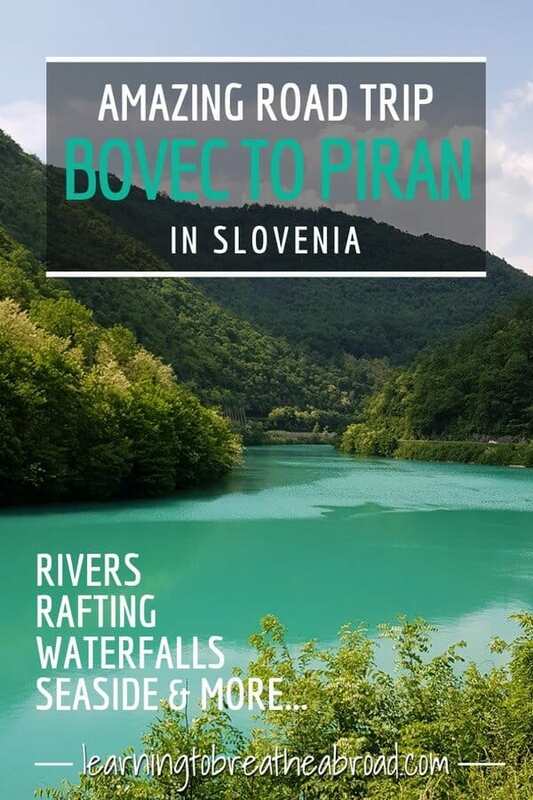 Our death-defying trip over the Vrsic Pass hadn’t quashed our desire for adventure, so we stopped Bovec to get the adrenaline going by whitewater rafting on the Soca River. 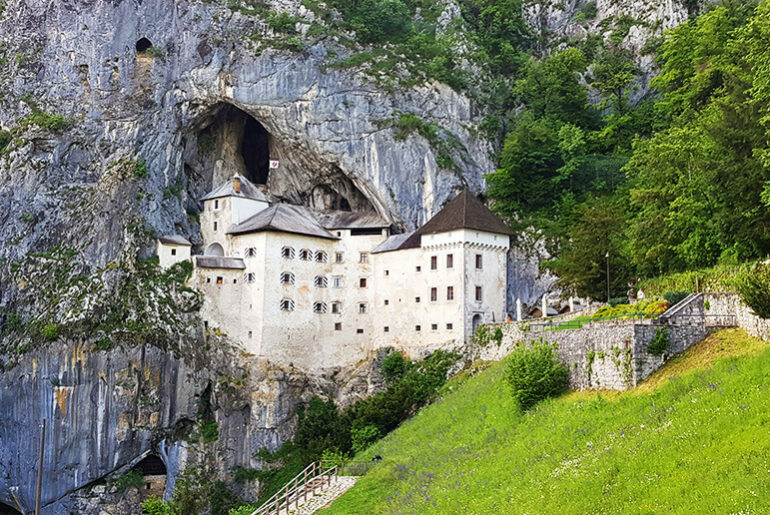 Bovec is the adventure center for all things adrenaline in Slovenia. Take your pick from the numerous whitewater rafting companies or fly high in the sky on zip lines. Bovec is an incredibly picturesque town nestled in the Soca Valley and surrounded by the Julian Alps. For those not looking for high adventure, there are lovely restaurants and cafes where you can relax and enjoy your stunning surroundings. From Bovec we traveled South to the coast, stopping at waterfalls and villages along the way. Accompanying us for most of the way was the Soca river, that I have completely fallen in love with. I kept telling Tai to look at the river because he’s never going to see another river as beautiful. His response, “I don’t know why you’re going on about it? It’s just water Mom!!”. Take a look at the pics and tell me if you’ve ever seen a more beautiful river? The first waterfall was just outside Bovec, called the Boka waterfall. It was a quick 20-minute hike up, but the viewing platform was really far away from the actual falls, so the photos don’t do the immensity of the falls justice. There is another trail that leads to the base of the waterfalls but that hike was 1.5hrs and we had far to travel, so not enough time to complete that kind of a hike. Our next stop was Slap (Waterfall) Kozjak, just 15km further South, at the town of Kobarin. We drove halfway up a narrow hairpin bend pass only to realise that Google Maps was having a laugh. So after executing a miraculous u-turn, we trundled back down into the valley. Safely parked in the big carpark, we set off through fields full of spring flowers and colourful beehives. To my great delight, we had the Soca River to keep us company. How I love the sight of this turquoise river! The walk was only 30 minutes through a valley of green, with little bridges and footpaths hewn out of the rocks. The waterfall wasn’t mighty and impressive, but the colour of the pool into which it plunged made it enchanting. There is an entrance fee of €1 to see the Kozjak Waterfall. Children are free. We drove through valleys and along narrow passes with the Soca River faithfully at our side. After a few hours, we left the mountains behind, the land started leveling out and vineyards appeared. The countryside became dotted with Tuscan style houses set amongst Cypress trees and we knew Italy was close. 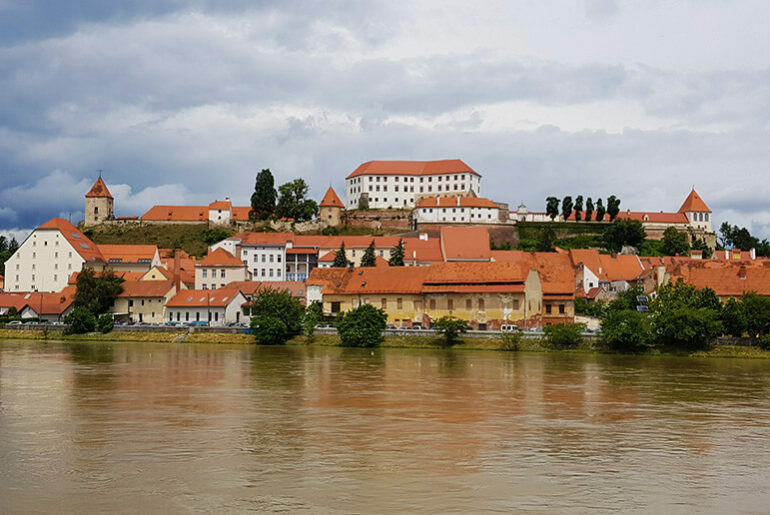 Slovenia has only 30km of coastline with Italy to the North and Croatia to the South and we could definitely see the Italian influence as we drove through the villages. With great excitement, we drove into the seaside town of Piran only to be told no campervans allowed. A long day of driving on the crazy narrow roads and now we suddenly had to find a plan B! And so hello Lucija! 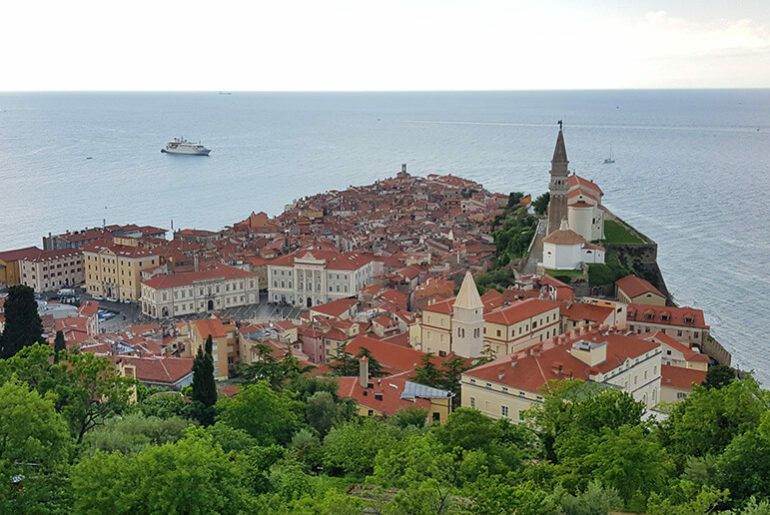 Lucija is also a seaside town, only 5km from Piran. We found a fabulous campsite with views right over the water and the most incredible sunsets imaginable.